We have all been there. Suddenly, and without any warning, you have a surprise expense that far exceeds the amount of money you have in your savings account. Maybe you have been planning that once-in-a-lifetime dream vacation for the last few months, and now that you finally have enough time to take off from work, you find that you don’t have the money you need to cover the cost of the trip. Or maybe have been planning the wedding of your dreams only to realize that you are thousands short of the money you need to fund your wedding expenses. Regardless of how your big plans have fallen short of the money you need to fund them, an installment loan is a great way to get the cash you need when you need it most. 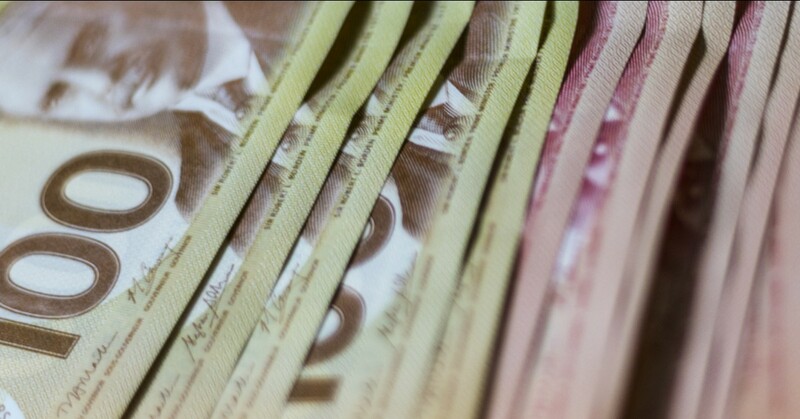 Here are some helpful hints for finding a hassle-free installment loan in Ontario to cover any big expense. Do your research when searching for an installment loan to ensure you avoid paying unnecessary fees. Some money lenders charge an application fee, sneak in other hidden fees, and charge costly insurance fees, which means you will pay more over the life of your loan. Find an installment loan that offers realistic repayment terms. Choose a lender that offers fixed payments, fixed rates, and no prepayment penalties, so your loan payments never go up. Always do your due diligence by looking at a money lender’s ratings and reviews, which can tell you a lot about a loan company. Choosing a lending company that has excellent customer service ratings and shining customer reviews can make the entire loan process stress-free. Following these simple hints can lead to a big payoff for you. The key is to work with a reliable and transparent money lender that offers a simple loan application process, relaxed credit requirements, and sensible repayment terms to match your budget. Cash 4 You is the number-one money lender in Ontario that offers all of these perks and so much more. That’s because they want to make the entire loan process quick and painless for you, so you can get the instant cash you need to fund all of life’s adventures. When you apply for an installment loan for your chosen amount of up to $15,000, they offer a fast and easy approval process and you can get your cash-in-hand the same day. What’s more, there are no application fees, no costly insurance fees, and no surprise charges, which means you will pay less over time. Cash 4 You has more than 100 locations across Ontario, so drop by and see them for a personal loan that just makes sense. When you need cash fast, one of the easiest ways to get it is through a payday advance. But a far harder challenge is finding the right payday lender. No matter where you look, you’re sure to find a litany of lenders, each offering their own take on this useful personal loan. But even though they’re all offering the same thing, they’re doing it in very different ways. So how are you to choose the right payday lender for you? In this day and age, there’s no reason for a business not to have a nice looking website. If the lender has a storefront, but no website to be found, then it’s probably a good sign you shouldn’t do business with them. Once you’re on the site, take a look around. Look for consistent messaging between pages about their services, rates, and other products. Be on the lookout for little things like misspelled words or strongly constructed sentences. These could be signs that the lender isn’t as legit as they’d like you to think. Using Google reviews, or even the reviews here on Top Rated Local®, is a great way to find out more about the lender. If people feel that the rates were too high, or the repayment schedule too tight, you’ll hear about it on the reviews. Look for money lenders that are reviewed highly and are known for being polite, professional, and helpful. Some lenders have caps on how much you can borrow, like $1,500 at a time. While you might jump at the chance to take out as big of a payday loan as you can, it’s important to remember what the loan is for. It’s to substitute your income in a pinch, not supplement it. Remember that you’ll have to pay this loan back in a week or two on your next payday. Make sure you’re only borrowing as much as you need. So if you’ve got an unexpected bill that simply can’t wait until payday, take out a cash advance for that amount. That way, when payday does arrive, you can quickly repay the loan. The right lender won’t push you to take out any more than you need or can afford. With a loan figure in mind, it’s time to start asking the lender about fees and rates. They should clearly outline these fees and rates in the loan agreement and should also take the time to explain them to you. It’s important to understand these numbers, as they will impact how much you actually have to pay later. You don’t want to get a great loan but then get nailed by high-interest rates or hidden fees. 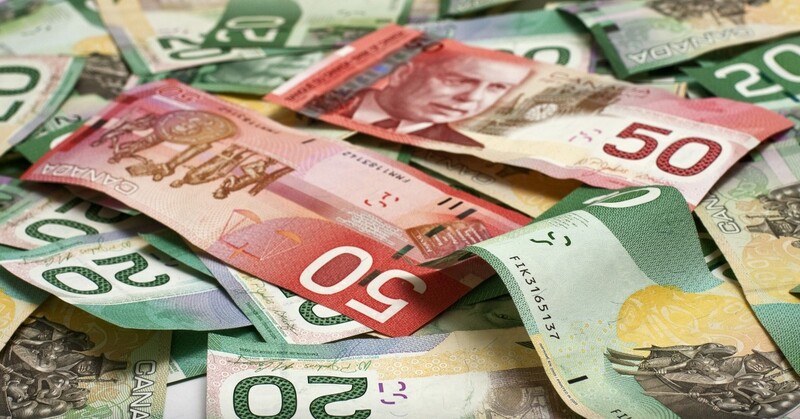 Finding the right payday loan lender in Ontario is easy when you visit Cash 4 You. With more than 100 locations across the province, you can get a payday loan as soon as you stop by! Find out more about their payday advances then get the money you need when you need it. Perhaps you are like many other pool owners across the nation, and you find yourself needing to add water to your pool fairly often. We aren’t talking about an inch or two of water over the course of a month, which is due to evaporation, but more so a significant loss of water each day. If you find that your pool is losing between ½ inch to an inch of water every day, your pool probably has a leak you need to find and address. Below, we’ll discuss exactly how inground swimming pool owners should go about that in the right way. Pool leaks must be fixed as soon as possible for fairly obvious reasons. Chiefly, you don’t want to have to keep adding water to your inground pool unnecessarily. But pool leaks spike your water bill and might even waken subsoil in inground pools. Before you are able to determine whether you can repair the leak yourself or if you need professional pool leak repair, the first step is naturally to find the leak itself. Next, you need to identify the severity of the leak. If you simply shrug your shoulders and wait for the issue to resolve itself, we’ve got some news for you — your future-self will not be pleased with your present-self! You’ve created a headache for yourself that is completely unnecessary, due to the increase in heating bills, water replacement costs, not to mention the chemical loss and strain on pool equipment that leaks frequently cause. Before you call pool maintenance professionals to fix your pool leak, it’s a good idea to perform a test in order to see if you actually have a leak. Do this by filling a bucket with water about an inch from the brim. Place the bucket on the first step of your pool, marking the inside water line and the outside water line on the bucket. Then let it sit for 24 hours before you check on the water levels. If both water levels have dropped the same amount, the supposed leak is probably just evaporation. If, however, you find that the water level outside of the bucket is less than the level inside it, it’s time to call a pool repair company to perform a pool leak repair. For the DIYers out there, it might be enticing to attempt to repair the leak yourself. Truth be told, depending on the type of leak, you might well be able to patch over the leak or even perform a vinyl replacement liner repair. 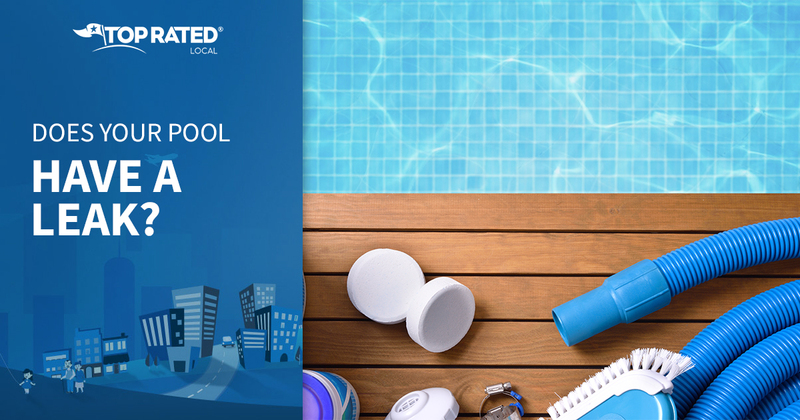 But it’s equally true to say that your inground pool is an investment worth protecting. And while it’s plausible to perform a simple patchwork job, many pool leaks are difficult to identify. It takes experience and industry knowledge to perform a comprehensive analysis while making sure the pool repair administered is both exhaustive and effective. Learn more about the pool leak repair we offer at Pool Werks. Pool Werks is a pool cleaning service provider in Crystal Lake, IL that specializes in inground pool maintenance and repair. Pool Werks is passionate about their affordable, professional, and honest approach to inground pool repair and maintenance. With state-of-the-art equipment, cost-effective rates, and a dedication to doing right by their customers, they are the Top Rated Local® pool service & repair company in Crystal Lake and beyond! For clean, clear, beautiful pools, contact Pool Werks at your convenience. They’d love to hear from you and resolve your swimming pool repair needs as soon as possible! 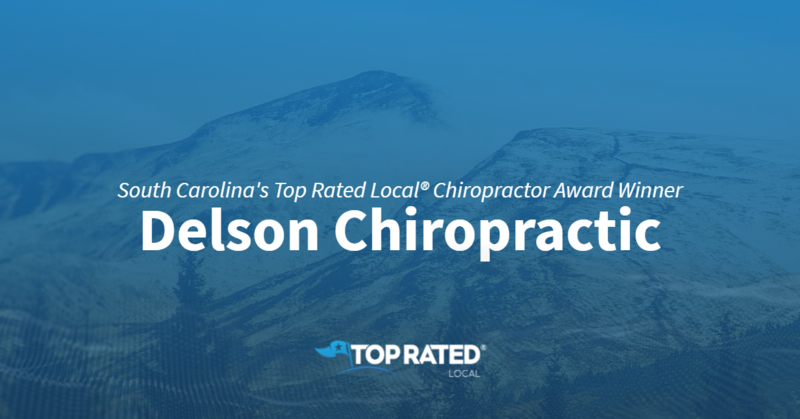 Top Rated Local® is pleased to announce that Delson Chiropractic is not only one of the top five chiropractors in South Carolina, but one of the top 20 businesses in the state overall! “Dr. Delson has helped me so much and in so many ways! I had 2 pregnancies, one without chiropractic care and one with. The pregnancy that included regular care from Dr Delson was completely pain-free and the birth was quick and easy compared to my first birth which was long and difficult. She helps keep my neck loose and my sciatica is gone! I can not recommend her enough!” -Audrey T.
Reviews like this have helped earn Delson Chiropractic a 99.50 Rating Score™, a 4.95 average star rating, and a 2019 Top Rated Local award! 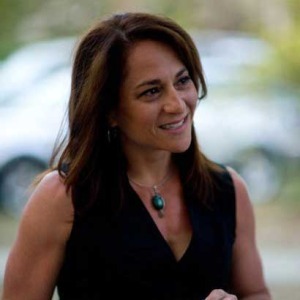 Dr. Evaline Delson, the owner of Delson Chiropractic, took some time to speak with us about her business’ exceptional online reputation. Congratulations to the team at Delson Chiropractic for being a 2019 Top Rated Local award winner, and thank you so much, Dr. Evaline Delson, for taking the time to speak with us! Top Rated Local® is pleased to announce that J & J Staffing Resources is one of the top three employment agencies in New Jersey! “I had a wonderful experience with J & J. The staff were very friendly and helpful when I had a question. They were able to set me up with a company that was in the location I wanted, and with the benefits I wanted as well. I now have a great career, and it started with J&J! They really listen to what you want, and I would highly recommend them. 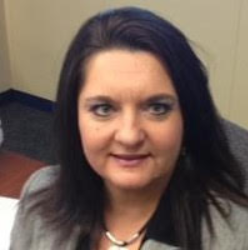 -Rebecca-Ann D.
Andrea Indelicato, the regional manager of J & J Staffing Resources, took some time to speak with us about the business’ online reputation. 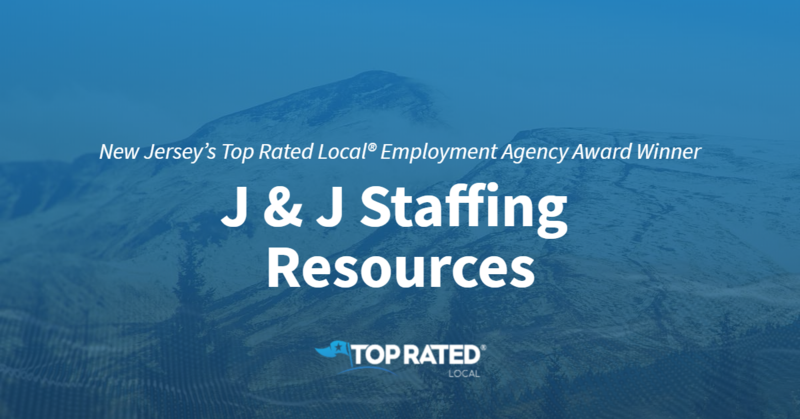 Congratulations to the team at J & J Staffing Resources for being a 2019 Top Rated Local award winner! Top Rated Local® is pleased to announce that iRevive is a 2019 award winner! “If you have a Mac, this is THE place to go for service. The owner, Esteban Millard, will personally and patiently assist you and thoroughly explain the repairs in terms you can easily understand. The pricing is reasonable and the turnaround is very quick. He also stands behind his work should there be any issues after he makes the fix. While the Apple store in Haywood Mall is great too, you’ll find this to be a much quicker and better alternative when you need expert technical help and want to get your Mac fixed up fast.” -Mark M.
Esteban Millard, the owner of iRevive, took some time to speak with us regarding his business’ extraordinary online success. Thank you for speaking with us, Esteban! Congratulations to the team at iRevive for being a 2019 Top Rated Local award winner! Top Rated Local® is pleased to announce that Frank’s Gentleman’s Salon is a 2018 award winner! “Very clean and friendly place. You are greeted and then taken to a small ‘man-cave’ waiting area. [You receive] two complimentary drinks with your appointment; I went in the am, so coffee, but they have beers and whiskey as well. [My barber] was great, wonderful haircut and service. Haircut included: cut, wash/condition, final trim w/razor, [and] style. Reasonable prices for what you are getting. I would highly recommend!” -Craig P.
That’s just one of the more than 300 rave reviews Frank’s Gentleman’s Salon has received on verified sites from happy customers. These reviews have earned them a 97.23 Rating Score™, a 4.62 average star rating, and a spot among the top 10 barber shops in the entire state of South Carolina. Karen, the manager of Frank’s Gentleman’s Salon, took some time to speak with us about the business’ outstanding reputation. Congratulations to the team at Frank’s Gentleman’s Salon for being a 2019 Top Rated Local award winner, and thank you so much, Karen, for taking the time to speak with us! 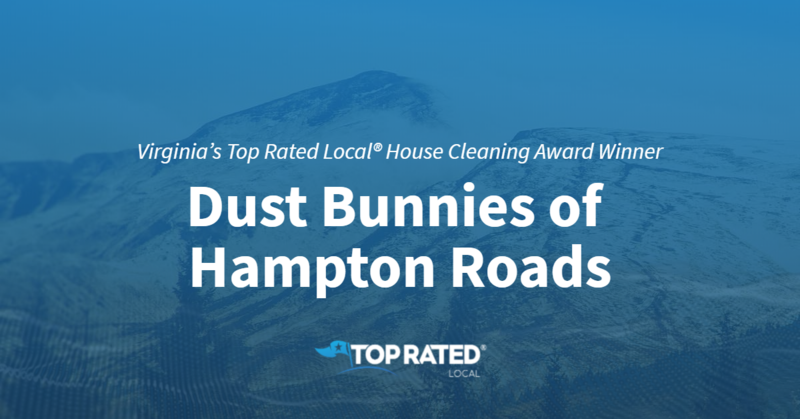 Top Rated Local® is pleased to announce that Dust Bunnies of Hampton Roads is not only the number one house cleaning company in Virginia, but one of the top 50 businesses in the state overall! “My fiancé and I hired the Dust Bunnies to clean the apartment we were moving out of in Hampton. We were moving into our first house and the thought of relocating from a third floor apartment and having to take on a three bedroom house seemed daunting. Neither one of us wanted to clean two places! Luckily, the Dust Bunnies were available! Very flexible with scheduling, professional, and we trusted them since they were bonded and insured. We’re excited to get our security deposit back since they did such a great job! I know we will use them in the future!” -Suzanne M.
Victoria Mitchell, the owner of Dust Bunnies of Hampton Roads, took some time to speak with us about her business’ outstanding online reputation. Congratulations to the team at Dust Bunnies of Hampton Roads for being a 2019 Top Rated Local award winner, and thank you so much, Victoria, for taking the time to speak with us! 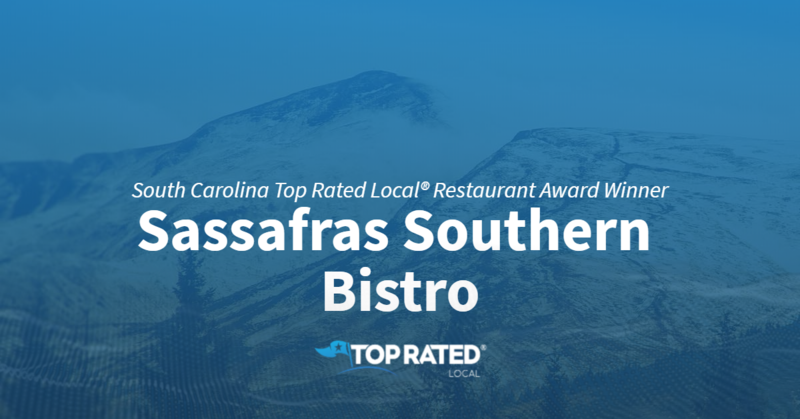 Top Rated Local® is pleased to announce that Sassafras Southern Bistro is a 2019 award winner! “The food was amazing. The wait staff was incredible, especially with my children. We were celebrating my son’s ninth birthday, and they made him feel so special. They made them feel so special instead of bothered by them, like some nicer restaurants have in the past. We will definitely be back. 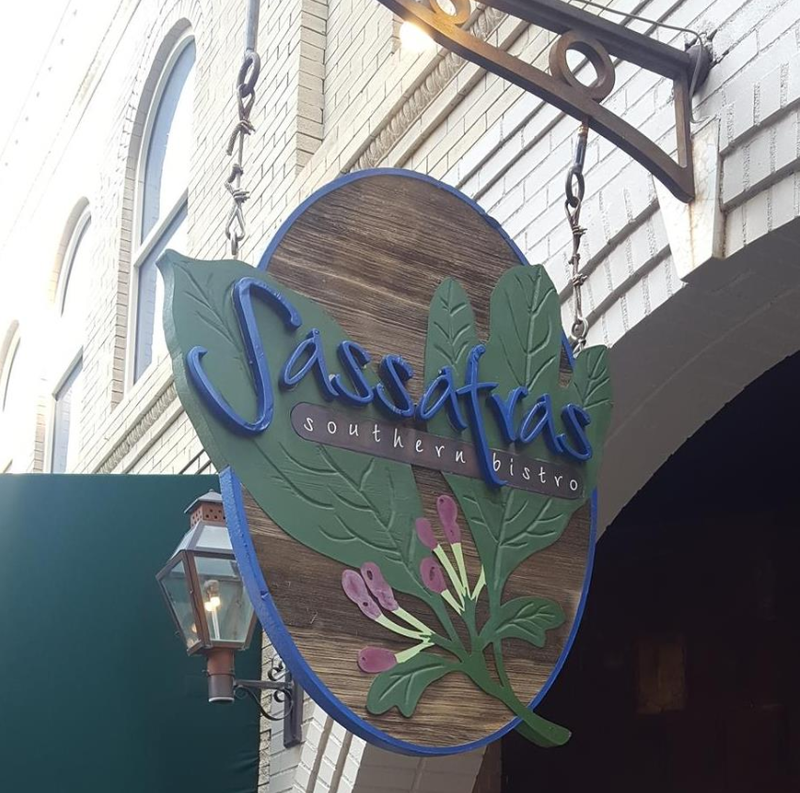 So much more to try on the menu.” – Maria M.
Reviews just like that make Sassafras Southern Bistro one of the top 10 restaurants in South Carolina, with a 97.48 Rating Score™ and a 4.65 average star rating! Mike Byrnes, the general manager of Sassafras Southern Bistro, took some time to speak with us about the business’ outstanding online reputation. Congratulations to the team at Sassafras Southern Bistro for being a 2019 Top Rated Local award winner, and thank you so much, Mike Byrnes, for taking the time to speak with us! Top Rated Local® is pleased to announce that Terramé Salon and Spa is not only the number one salmon and spa in the whole state of Alabama, but one of the top 15 businesses in the state overall! “I always have an amazing experience at Terramé. The owners are honest and caring. The employees are amazing. The customer service is exceptional. You will certainly be well cared for. They offer everything from head to toe. Hair, facials, massage, pedicures, spray tan, make-up etc. 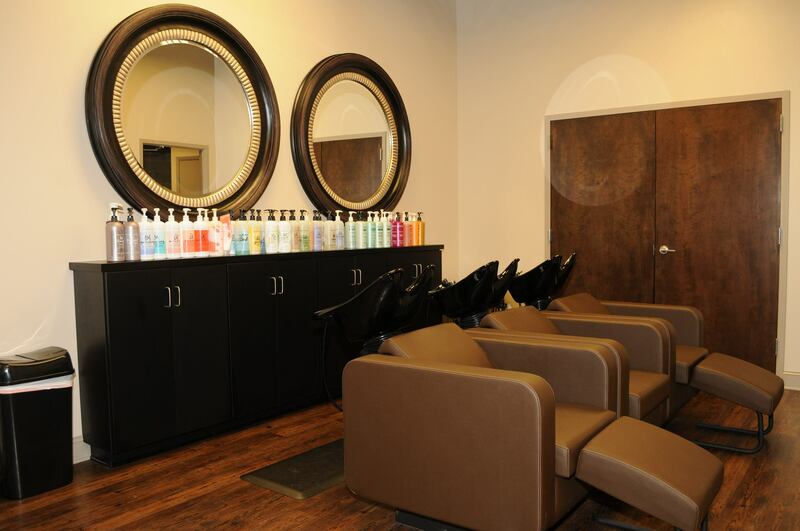 I highly recommend this place.” -Meghan C.
That’s just one of the more than 2,000 fabulous reviews Terramé Salon and Spa has received on verified review sites, giving them a perfect 100.00 Rating Score™, a 4.98 average star rating, and a 2019 Top Rated Local award! Charles Johnson, the co-owner and manager of Terramé Salon and Spa, took a moment to chat with our team about his business’ outstanding online reputation. 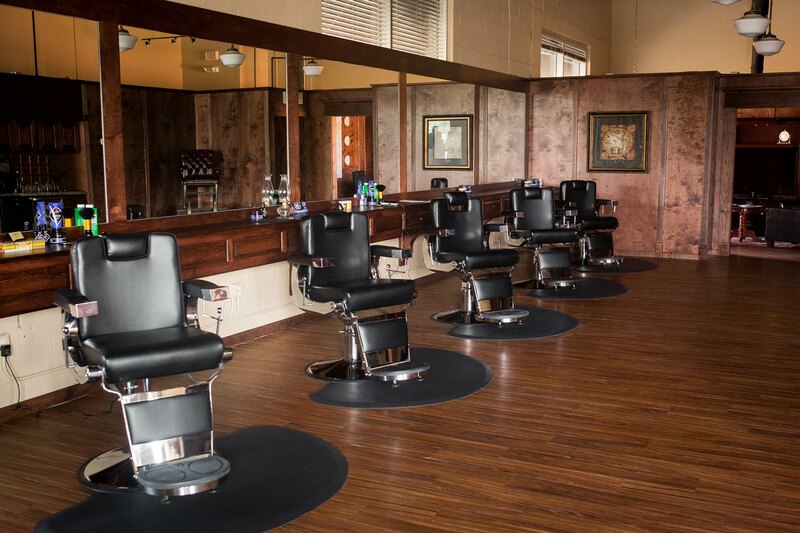 Congratulations to the team at Terramé Salon and Spa for being a 2019 Top Rated Local award winner, and thank you so much, Charles, for taking the time to speak with us!